I know a lot of the finds I write about can be quite pricey, especially when you're shopping on a tight budget. I love the Great British High Street for more affordable finds and bargains. Overall I think Zara is the best - it has a great selection of trousers, leggings and jackets in muted colours and prints. 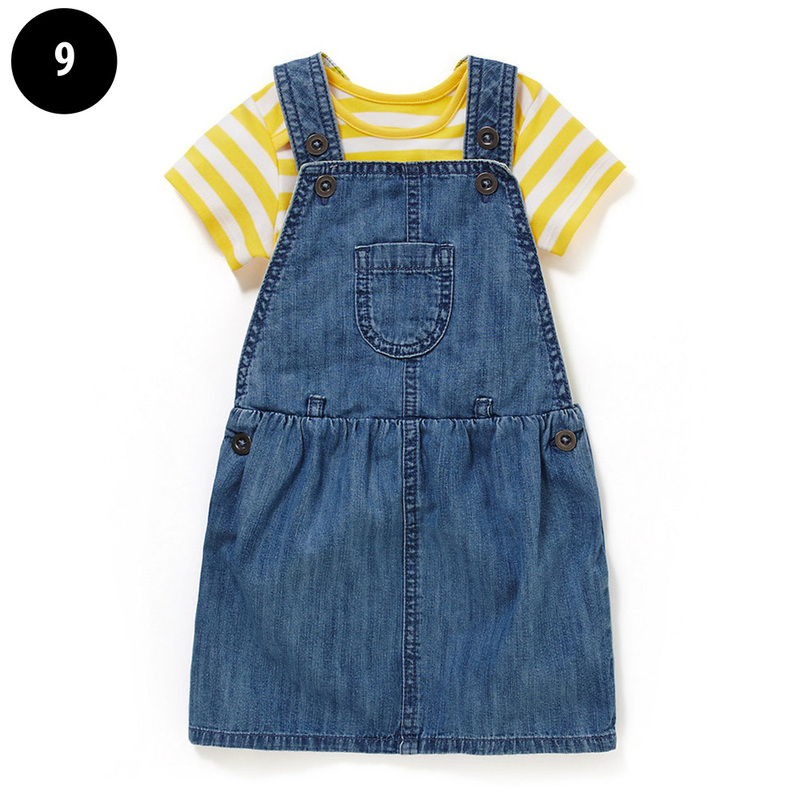 Gap is good for pyjamas, Hennes for home and basics, M&S for denim and colourful retro finds and Next often have great baby grows and basic jumpers. 1. 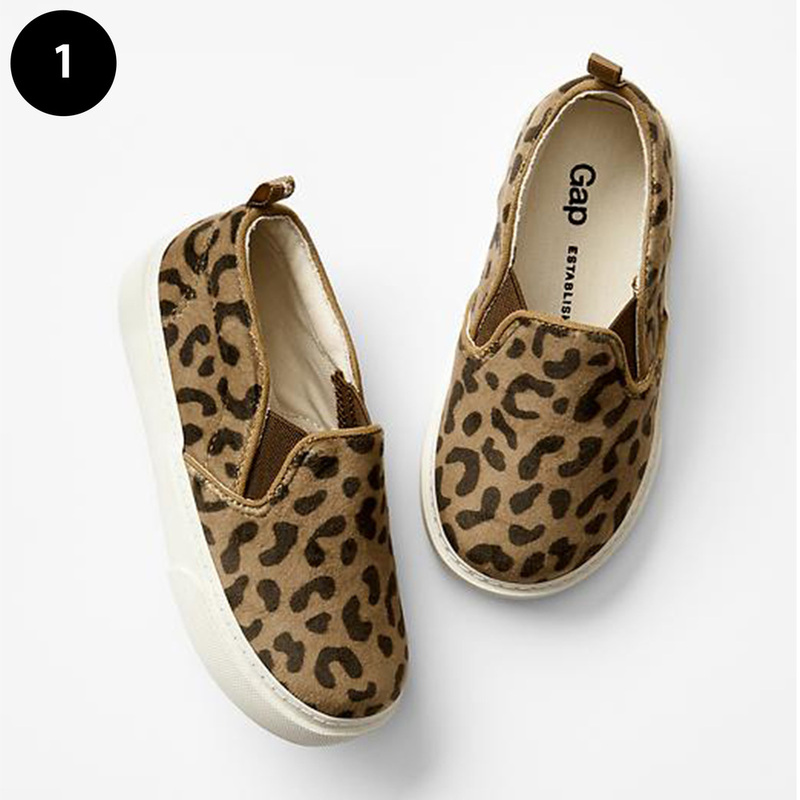 Leopard Slip ons from Gap, £14.95 Age 1 - 5 yrs. Love a bit of leopard print and these are so easy to get on and off wriggly feet. 2. Yellow Waterproof with fleece lining from Zara, £27.99 Age 3 - 14 yrs. 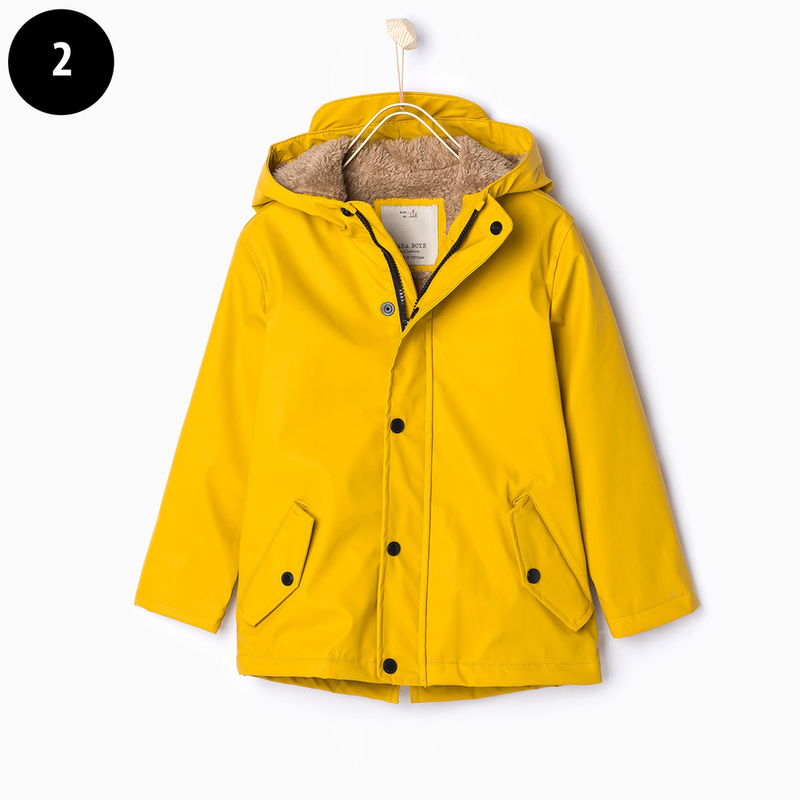 Everyone on the High Street rips off the Petit Bateau classic yellow mac. We love this unisex style and this one is great as it has a cosy lining as well. 3. House Shelf from Hennes, £14.99. Also comes in white and pale pink. There is a real shelving trend going on at the moment. This one reminds us of a simple version of the very pricey Ferm living shelf we lust after (available here). Lovely filled with treasures and souvenirs. 4. Stripe T-Shirt from Hennes, £2.99. 1 month - 2 years. Part of 3 for 2 offer. 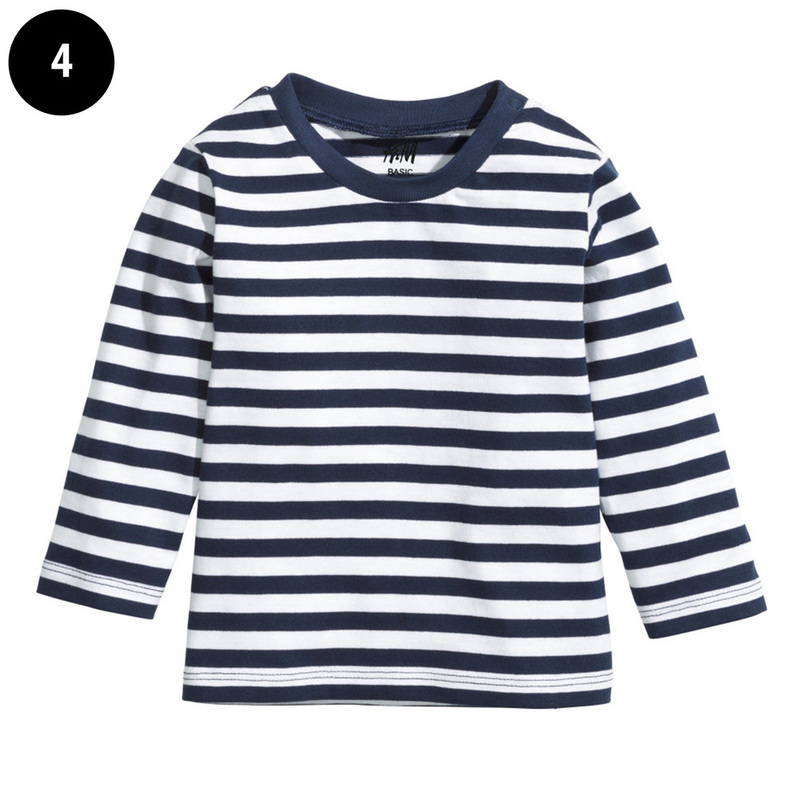 Hennes do great basics and who doesn't love a classic stripy tee? 5. Mountain leggings from Zara, £6.99 3 months - 4 years. I think Zara do the best selection of unisex leggings on the high street. 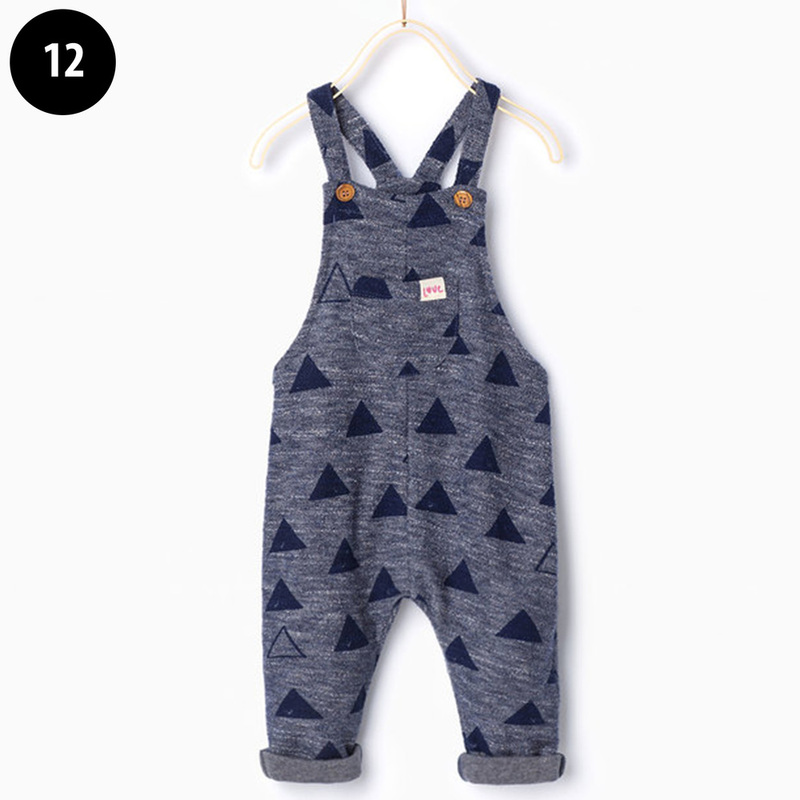 They always have easy prints and these ones definitely have a bit of Bobo Choses feel to them. Leggings now go up 4 years, yippee! What a bargain too. 6. Jungle Swim Shorts from M&S, £8 0 - 3 yrs. ROAR! 7. Eames Style Rocker Chair from Mini Eden, £44. 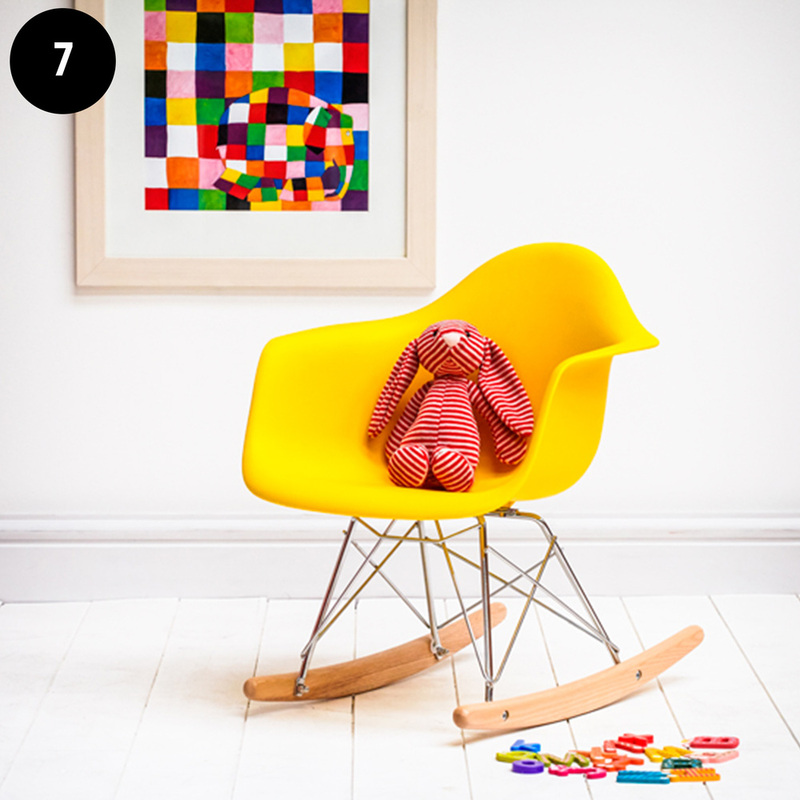 A great chair for a stylish kids room, yes please. 8. 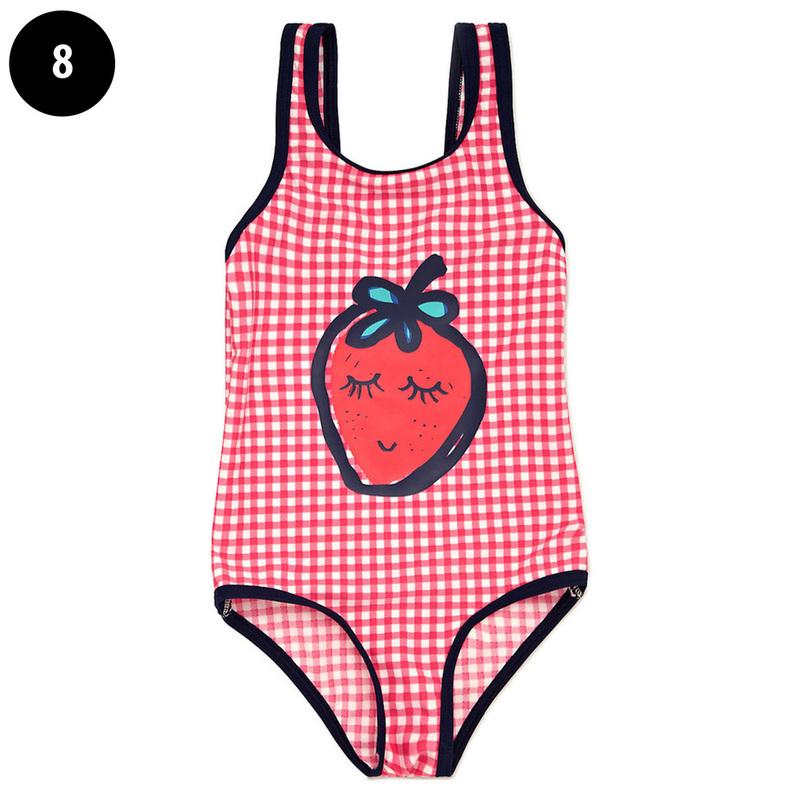 Strawberry Swimsuit from M&S, now only £5.00 in the sale (lack of sizes left) 1 - 7 yrs. We always had M&S swimsuits when we were younger, they are great quality and always have a fun, retro feel. 11. Animal Pyjamas from Gap, £19.95 6 months - 4 years. Gap do the nicest pjs, these are really unisex and of course we love the fox on this print.